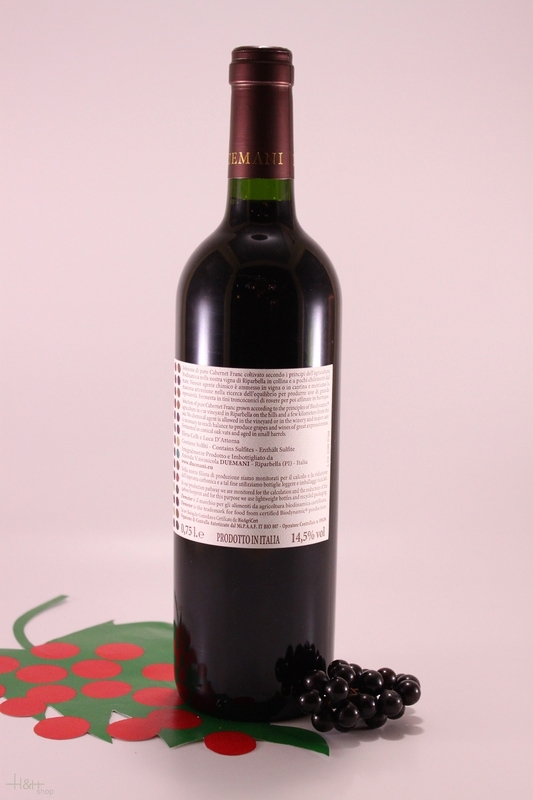 "Jeannie Cho Lee" has rated the wine "Duemani 'Duemani' Cabernet Franc Costa Toscana IGT, Tuscany, Italy" from the vintage 2010 on 01.10.2015 with 89 of 100 points.
" Delighted to find Cabernet Franc in Tuscany. 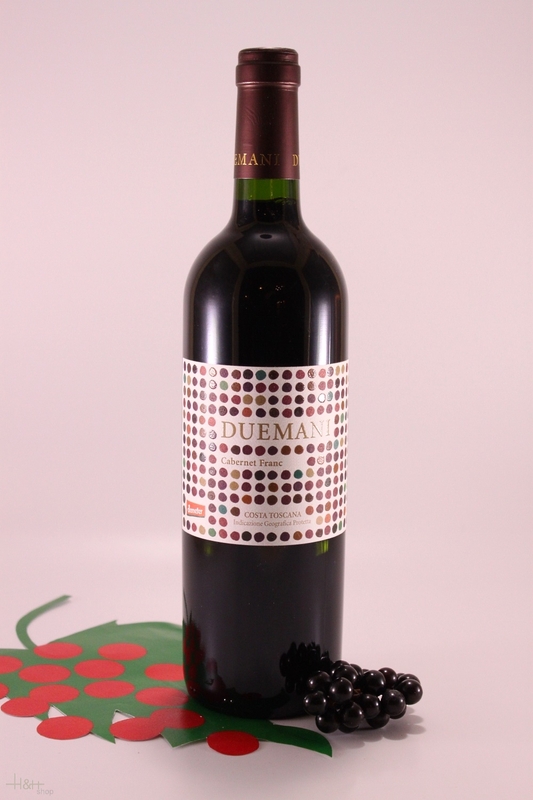 The wine is subtle, pure with a lovely Cabernet Franc expression of herbs, cassis and fresh cut wood characters. Subte, velvety and well composed. Perfect to enjoy now. " "Vinous Antonio Galloni" has rated the wine "Duemani 'Duemani' Cabernet Franc Costa Toscana IGT, Tuscany, Italy" from the vintage 2013 on 01.10.2015 with 92 - 95 of 100 points. "Luca Gardini" has rated the wine "Duemani 'Duemani' Cabernet Franc Costa Toscana IGT, Tuscany, Italy" from the vintage 2012 on 01.07.2015 with 98 of 100 points. "Wine & Spirits Magazine" has rated the wine "Duemani 'Duemani' Cabernet Franc Costa Toscana IGT, Tuscany, Italy" from the vintage 2011 on 01.04.2015 with 93 of 100 points. "Wine Enthusiast" has rated the wine "Duemani 'Duemani' Cabernet Franc Costa Toscana IGT, Tuscany, Italy" from the vintage 2011 on 11.01.2015 with 93 of 100 points. "Luca Gardini" has rated the wine "Duemani 'Duemani' Cabernet Franc Costa Toscana IGT, Tuscany, Italy" from the vintage 2011 on 01.07.2014 with 96 of 100 points. "Wine Spectator" has rated the wine "Duemani 'Duemani' Cabernet Franc Costa Toscana IGT, Tuscany, Italy" from the vintage 2010 on 31.10.2013 with 94 of 100 points. "Vinous Antonio Galloni" has rated the wine "Duemani 'Duemani' Cabernet Franc Costa Toscana IGT, Tuscany, Italy" from the vintage 2010 on 01.08.2013 with 94 of 100 points. "Luca Gardini" has rated the wine "Duemani 'Duemani' Cabernet Franc Costa Toscana IGT, Tuscany, Italy" from the vintage 2010 on 01.07.2013 with 96 of 100 points. "Wine & Spirits Magazine" has rated the wine "Duemani 'Duemani' Cabernet Franc Costa Toscana IGT, Tuscany, Italy" from the vintage 2009 on 01.04.2013 with 90 of 100 points. "Wine Enthusiast" has rated the wine "Duemani 'Duemani' Cabernet Franc Costa Toscana IGT, Tuscany, Italy" from the vintage 2007 on 04.01.2013 with 94 of 100 points. "Vinous Antonio Galloni" has rated the wine "Duemani 'Duemani' Cabernet Franc Costa Toscana IGT, Tuscany, Italy" from the vintage 2009 on 01.09.2012 with 94 of 100 points. "Robert Parker The Wine Advocate" has rated the wine "Duemani 'Duemani' Cabernet Franc Costa Toscana IGT, Tuscany, Italy" from the vintage 2009 on 30.06.2012 with 96 of 100 points. "Robert Parker The Wine Advocate" has rated the wine "Duemani 'Duemani' Cabernet Franc Costa Toscana IGT, Tuscany, Italy" from the vintage 2008 on 31.08.2011 with 96 of 100 points. "Vinous Antonio Galloni" has rated the wine "Duemani 'Duemani' Cabernet Franc Costa Toscana IGT, Tuscany, Italy" from the vintage 2008 on 01.08.2011 with 96 of 100 points. "Wine Enthusiast" has rated the wine "Duemani 'Duemani' Cabernet Franc Costa Toscana IGT, Tuscany, Italy" from the vintage 2006 on 11.01.2009 with 91 of 100 points. "Vinous Antonio Galloni" has rated the wine "Duemani 'Duemani' Cabernet Franc Costa Toscana IGT, Tuscany, Italy" from the vintage 2005 on 01.06.2008 with 92 of 100 points. "Wine Enthusiast" has rated the wine "Duemani 'Duemani' Cabernet Franc Costa Toscana IGT, Tuscany, Italy" from the vintage 2004 on 04.01.2008 with 91 of 100 points. "CellarTracker" has rated the wine "Duemani 'Duemani' Cabernet Franc Costa Toscana IGT, Tuscany, Italy" from the vintage 2012 with 96 of 100 points. "CellarTracker" has rated the wine "Duemani 'Duemani' Cabernet Franc Costa Toscana IGT, Tuscany, Italy" from the vintage 2006 with 94 of 100 points.